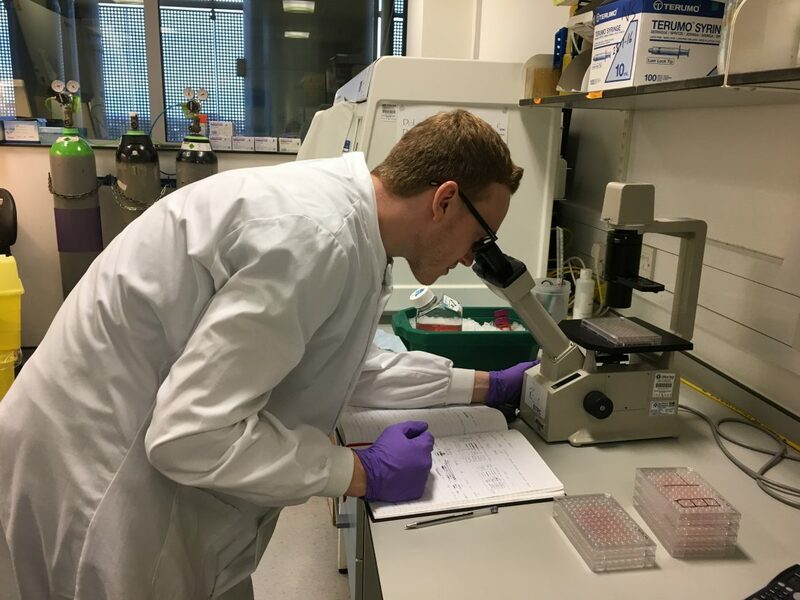 Lay summary: to investigate the relationship between a type of primary brain tumour (diffuse astrocytoma) and normal immune cells present in the brain that are called microglial cells. The hypothesis is that microglial cells, which in other diseases act as sentinels protecting the central nervous system, cooperate with brain tumour cells instead of reacting against them. This hypothesis is supported by recent studies demonstrating that tumour-infiltrating microglial cells suppress molecules usually expressed at high levels in similar conditions like multiple sclerosis and Parkinson’s disease. If we are successful in determining what molecules are preferentially expressed or reduced in microglia when they are in contact with tumour cells, we will be able to clarify an important step in malignant progression in astrocytic tumours. This will provide novel information that will increase the accuracy of pre-operative diagnosis and histologic assessment.